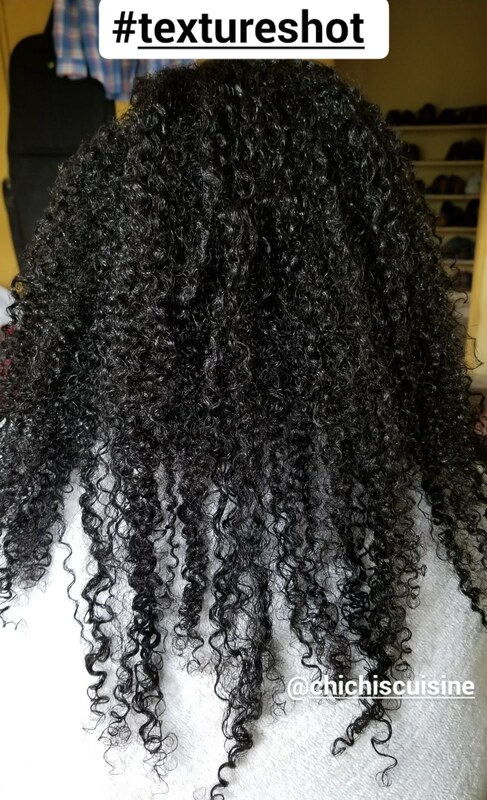 I'm a transitioner and have about 8 inches of natural hair. I've noticed my hairline is really patchy and my hair breaks a lot. What can I do? A. I'm sure a lot of transitioning, natural and even relaxed sisters can relate to this..I sure can! I am going to answer in detail so you'll be able to eliminate possible causes and for the benefit of others facing the same predicament. 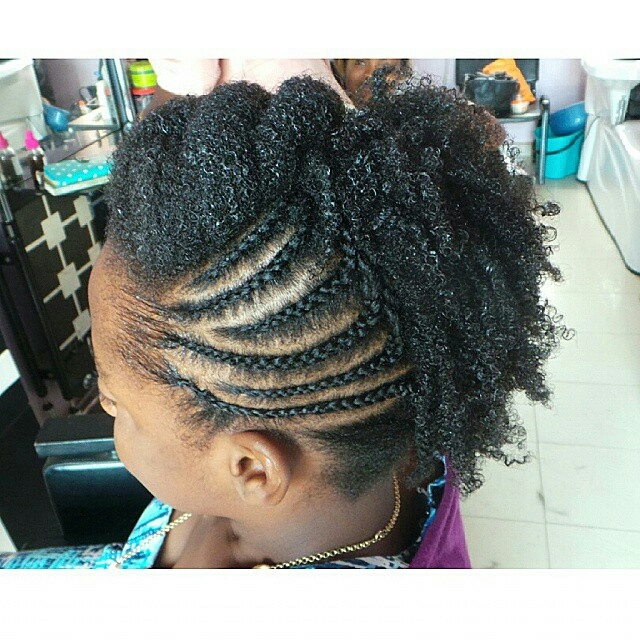 Afro textured hair (natural or relaxed) though tough looking is very fragile. 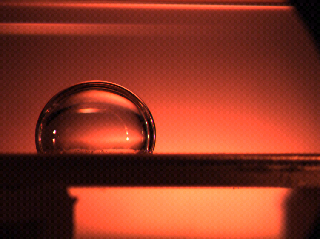 Do you know our strands are flat like a tape and not round like a rod when viewed under the microscope? Which is stronger, the tape or the rod? This gives you an idea of how fragile our hair is. 3. Heat and chemical damage from blowdriers, flatirons, relaxers, hair driers and from some drug store hair products such as gels, hairspray etc. As much as we want to eat healthy wholesome foods knowing how good they are, lifestyle, availability and price may prevent us from doing just that. Wholesome fresh foods which contain a higher percentage of their natural nutrients require time to prepare them.This may not be convenient for today's ever busy career woman and mother. Also, these foods may not be located close enough to just pop in,purchase and go and let's not leave out the increasing prices of these products. For these reasons and more, fast foods are more appealing. Unfortunately, the preparation processes strip these foods of their nutritive properties leaving next to nothing but unhealthy fats and damaging additives. I could go on (I'm a scientist!) but have to stop! The summary is you have to take an active role in ensuring that you eat wholesome natural foods such as fruits, vegetables,unprocessed carbohydrates/proteins and drink water. Vitamin and mineral supplements as prescribed by health professionals should be taken daily. The point of this is to provide the necessary materials for healthy hair growth. Some hairstyles such as ponytails, braids, weave installations, rollersets and cornrows contribute to hair loss. This hair loss is called traction alopecia. Due to the desire to get sleek ponytails, neater looking cornrows/braids/roller sets, firmer and long lasting weaves, the hair is pulled into the required style... by fire by force! The fuzzy, shorter,lighter, more delicate hair at the front and nape suffers the most tension because they are usually too short to get in line! This constant pulling uproots the hair and could cause temporary to permanent damage of the hair follicles. To combat this, the hair on the hairline should be left well and truly alone as much as possible. 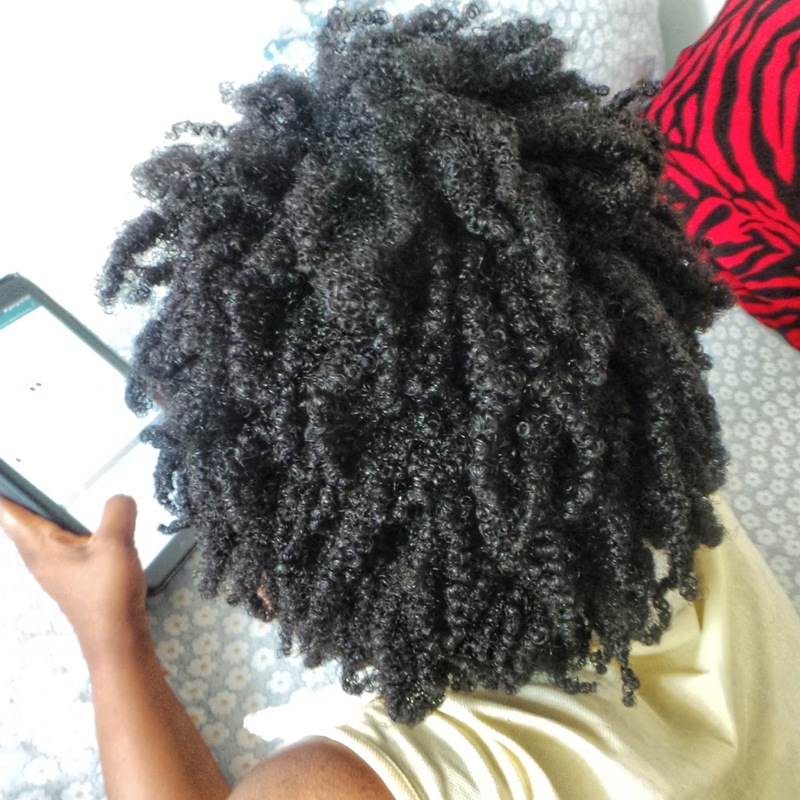 Your hair is naturally curly and not straight or sleek just like a baby's hair. Accept it and your hairline will be happier. When straightening the hair using heat appliances or chemicals, we are guilty of concentrating our efforts on the hairline to get the hair sleek and smooth! No wonder then that the poor fragile hair decides to pack up and head out! Relaxers are left on for a lil bit longer, several more passes of the flatiron / tongs /blow driers are made to get that hair lie smooth! We or should I say our trusted hair stylists are guilty of using the wrong techniques when pressing or relaxing our hair. - Using grease e.g. Dax, Soulmate to coat our hair and then straightening with the highest heat to achieve bone straight hair. 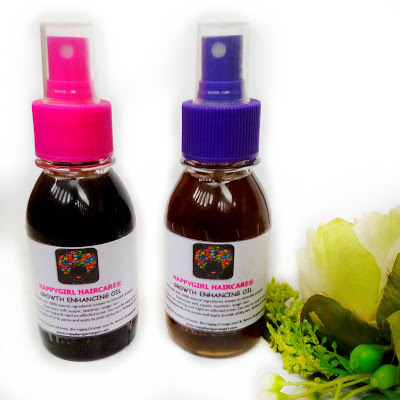 There are natural/commercial heat protectants such as Heat serums containing silicone, olive /grapeseed/castor oil as so on. Use it! - Relaxing the already relaxed part of the hair! Wrong! Relax roots only and do not comb through to ends. Protect hairline and tips with Vaseline. Better still, do not relax at all! - Flat ironing or straightening on wet hair. Wrong. It will be like boiling your hair! Chemical damage does not include relaxers alone, it also includes your everyday hair products. Gels and hairsprays containing alcohol can dry out your hair leading to breakage and in extreme cases hair loss. If you must use these, they are now available sans alcohol. Try to avoid applying products containing petroleum products directly on your scalp on a regular basis. They clog pores and reduce aeration of the scalp depriving the hair follicles of oxygen needed for healthy growth. Some hair styling tools are not really suitable for Afro textured hair (be it relaxed or natural) . - That "close toothed blue rat tail comb" popular in most Nigerian hair salons! Please avoid it! That ish has no business coming close to your hair! Not only are the tooth close and tiny, they are sharp too and can rip your hair in shreds before you can say... what!!!! I'm sure most of you have felt the sharp graze of those tiny teeth when the stylist attempts to "brush" your baby hair! Flee my friend! Use a wide toothed round tipped comb instead and smoothen your hairline with your palm or a baby brush. - "The Brush". Unless you are Caucasian or Asian, the brush has no business in your hair especially those cheap plastic brushes with rubber tips that easily come off to reveal sharp tips. Those brushes that we see in the markets designed to be used for weaves! I kid you not when I say a lot of peeps use those brushes on their own hair. There are brushes designed for Afro Textured hair such as the Denman Brush but it doesn't always work for tightly coiled Nigerian hair o! Unless you have "the technique " which many of us don't! Again, use the wide toothed comb! Besides, most of the brushes and combs in your regular salons are way past their due dates as evidenced by dirty ragged tooths so please endeavour to take your own. If you think these are supposed to protect your tresses from the elements, you are right! So, inspite of the combs, I don a wig cap and hope the wig won't fall off..... and this has never happened.... so far, so good. Do not tie scarves too tight. Not only does it give you a splitting headache, it suffocates and strangles your hair! What happens to a dry twig? Our hair snaps much in the same way when it's dry. 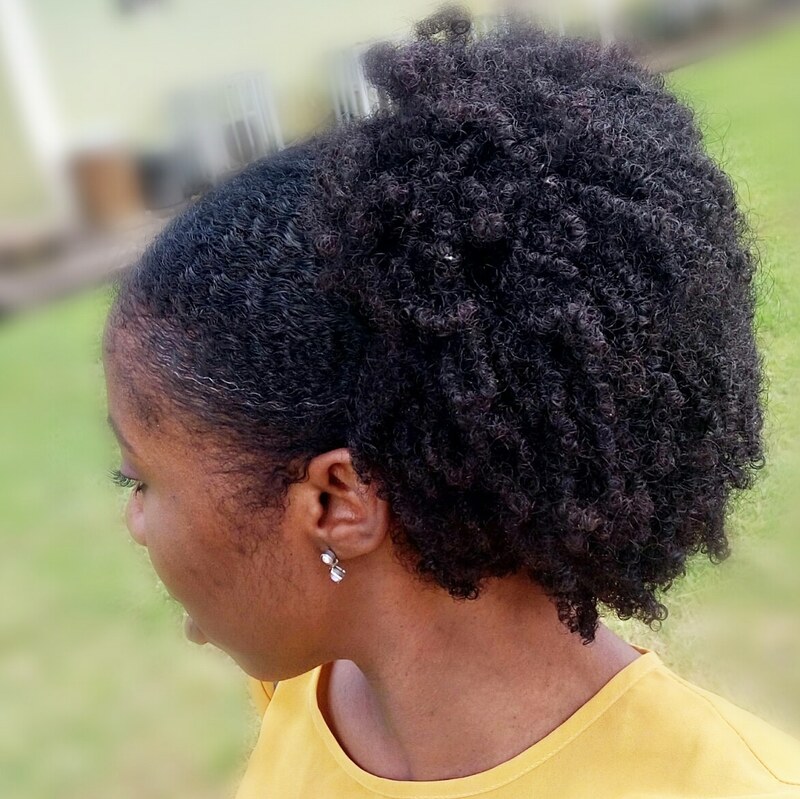 Afro textured hair be it relaxed or natural is prone to dryness due to it's flat,thin,porous structure. This is one of the reasons why it seems people of African descent do not have long, knee length hair. 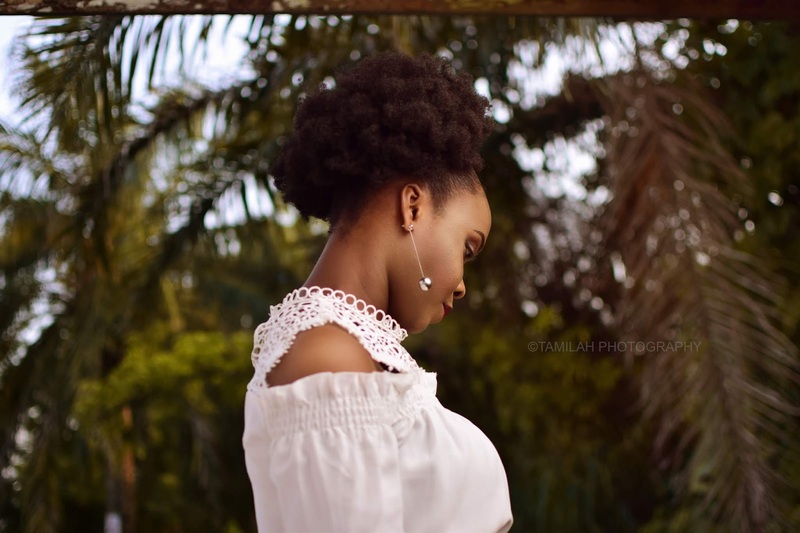 Admittedly, Afro textured hair grows an average of half inch per month compared to one inch for other people but inspite of this, if all the gained inches are retained, it's possible to grow longer hair. Important to reducing breakage is MOISTURE! For those living in Nigeria especially during the humid rainy season, it is important to seal in moisture as the moisture gained from the atmosphere can just as easily be lost! In dry season, maintaining moisture levels is a bit difficult. The hair should be kept in protective styles during this period and should be moisturised daily with a water based product especially the tips. Water is the best moisturiser for Afro textured hair and should be used in addition to an oil based product. Oils should never be used alone because they do not provide moisture. They provide instead a barrier to water loss assuming the hair has been moistened earlier on. 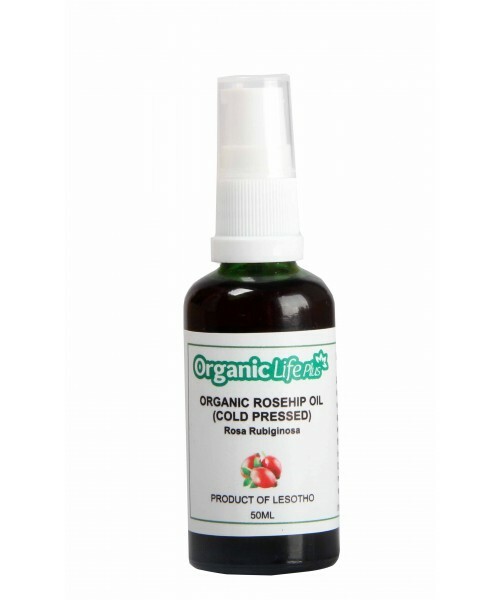 A tried and true method of effective moisturisation is the L.O.C. method. It shows the sequence for better retention of moisture. "L" meaning liquid which is Water.
" O" meaning oil such as olive oil, jojoba oil, castor oil, coconut oil etc depending on preference. "C" meaning cream which could be creamy moisturiser, butter or pudding. It all boils down to genetics for some! Hair loss genes can be passed down from parent to offspring. There's nothing much that can be done except stay clear of potential triggers. Before you blame it on the genes, look back and make sure you are not contributing in one way or another to the receding hair and breakage. 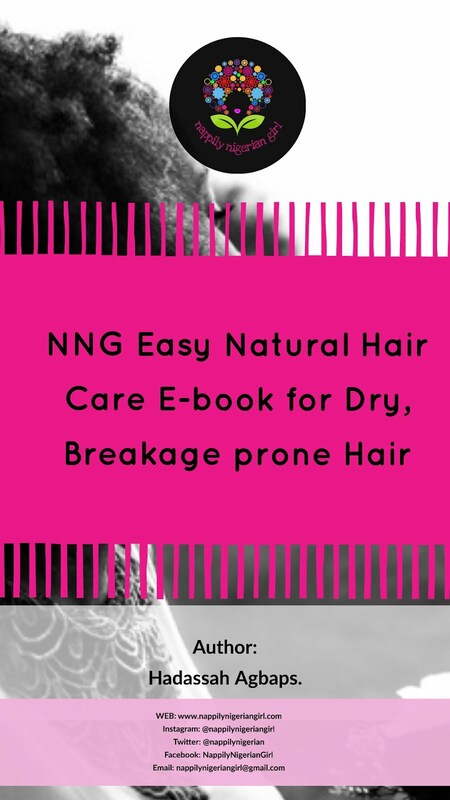 If you have already lost your hairline due to breakage, there are different remedies available that has been effective. Why not try out some and see what works for you! - Onion juice rinse... there is an old gypsy recipe for this. There are a million and one remedies for receding hairline and breakage. Personally, castor oil, Aloe vera, Shea butter, sulphur and the supplements have worked at different times. I have developed my go-to mix which I shared in an earlier post. I hope the information provided has been useful. Readers if you have any thoughts on this question, feel free to add your comments!!! Before I start this review, I'll have you know that I'm no makeup artist!!! I'm just a girl next door slapping on makeup and hoping it looks pretty decent! I'm not down for all the highlights and contour and slay queen makeup things. I discovered that less is more when it comes to makeup so I try to look like me but a little less tired...lol! I'm in a constant battle with my oily skin. When my mates are owning oil wells off the Escravos, I'm a proud owner of my own oil well on my face! On the other hand however, I'm realistic enough to note that an oily, reflective face does not a slayer make! Not especially when it has the ability to make makeup float on the surface like akara in oil! This is one reason, a foundation or compact powder that promises to be matte has me whipping out my ATM! 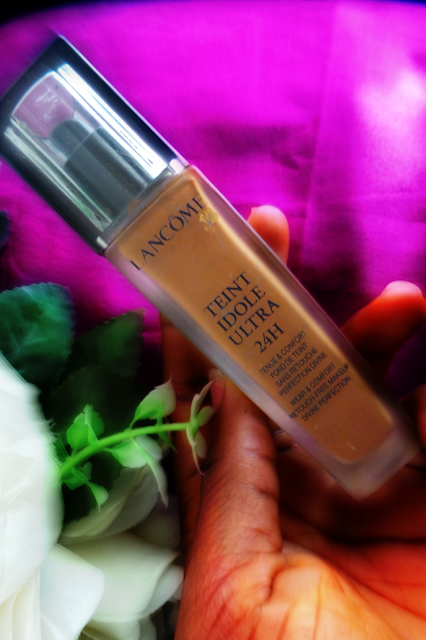 Lancome Teint Idole Foundation is the best darn foundation I've ever used!!!!! No nonsense hype in this one! They buy directly from the company (so you have no fear of buying a fake product) and ship to Nigeria at an affordable price. They also matched me with my perfect shade. 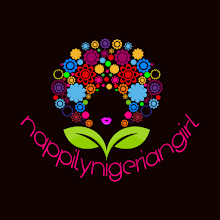 I purchase hard to find products in Nigeria from them. Since I've put out a spoiler, I should as well write out what makes this foundation so good!!!! You already know how I feel about SPF. In summary, certain ingredients in sunscreens have me turning a toad as I break out in tiny pus filled rashes! Not a pretty look at all! So, I tend to avoid sunscreen in any product especially the chemical sunscreens. I've found a sunscreen that work for my sensitive skin though. While researching this product before hitting the purchase button, I understand that this product has one with sunscreen. I almost didn't purchase because of this fact but the lady I purchased from assured me she'll get me the one without. .....so no sunscreen in this is a big plus for me. Seriously, this!!!! 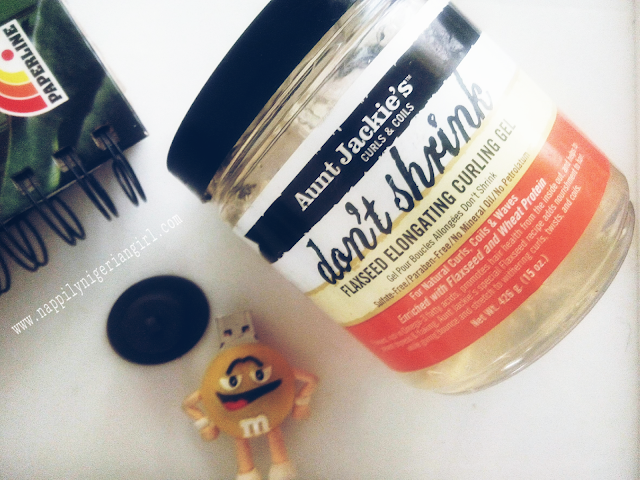 I have to apply the product quickly because it dries down so fast! 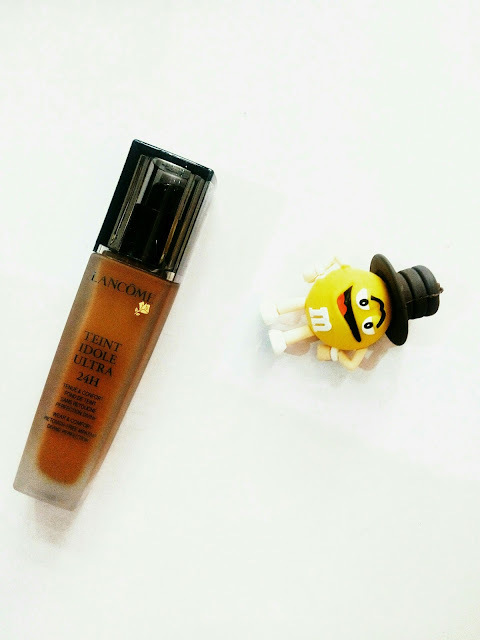 The best part is my face can stay matte for at least 3-4 hrs before the oil peeks through. I get to blot just once a day rather than every 30-45 mins. This is super!!! It even gets better when I use a vanishing cream underneath. 3. It does not get into the lines in my face or float like akara! I'm always horrified when I look in the side mirror of a car when I'm walking on the street and see that my makeup has gathered into my laugh lines or is separating on my oily nose! It's like I was stripped naked when I'm wearing my worst (albeit comfortable) underwear! Makeup in my humble opinion should be seen but never noticed!!! This foundation covers not only my blemishes but my shame too. 4. It's so light and the coverage is superb. In fact, just shinkili foundation (like 2-4 pea sized drops), can give me medium coverage. ...and guess what? It never looks like I have a mask on!!! My biggest pet peeve with M.A.C. I hate the feeling of makeup on my skin. All I'd be thinking is "my pores, my pores, my pores" and "pimples, pimples,pimples". If you've ever suffered from pimples, you'd know it's like a horror movie, just thinking about them makes them appear! Okay, so what didn't I like about this foundation? 1. Parabens and plenty plenty chemicals!!! 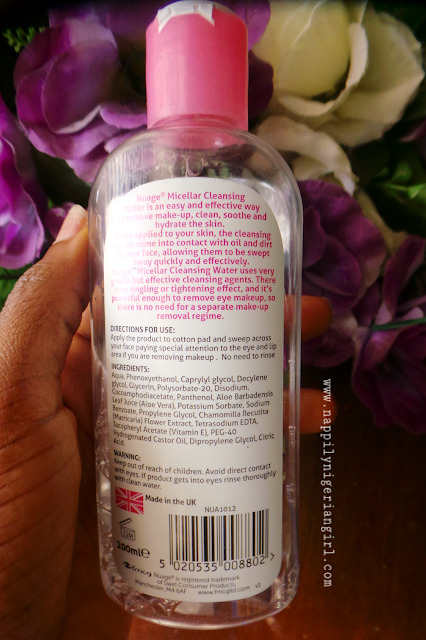 Oya, just see this ingredient list! I'm trying to clean up my makeup act but this foundation won't let me be. 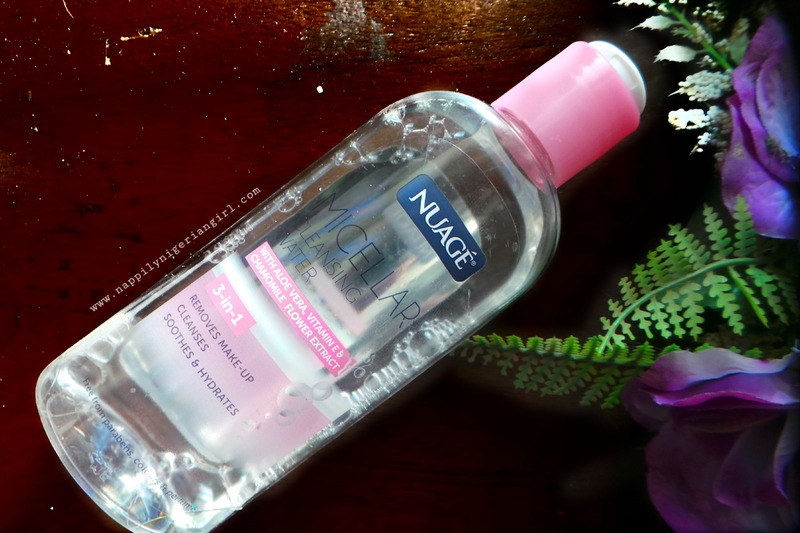 Luckily, I didn't react to any of the ingredients so I could say it's not bad for sensitive skin. Abeg, who has N25k (plus shipping ) to be spending on foundation everyday? I just closed my eyes and calculated that N25k divided by 10 months is N2500 per month on makeup. Not bad looking at it from that perspective. Thankfully, with this foundation, I didn't have to repurchase my all time favourite compact powder (BlackUp). The BlackUp 2 way compact is good because it's all I'd apply and I'm good to go. However, finding my shade these days have been very difficult. Every time I go to their store in Polo Park Mall, Enugu, it's not available and the studio (Sleek Beauty Studio, Awka) I usually purchase it from stopped stocking due to recession. Could I have gotten this cheaper though??!!! It retails for N20k in Essenza store in Ikeja City Mall. P.S. Do you know that smiling M&M is an 8G flash drive??? I saw it in a store on Jumia for just N1750 !!! Yes I would....but I'm still in the market though for more affordable foundations that would give me similar results! This foundation is the yardstick for testing other foundations. 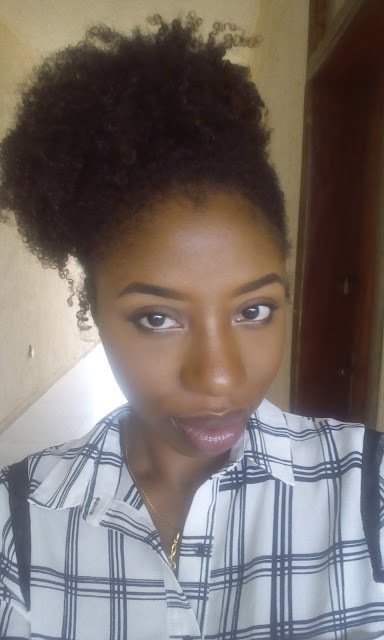 The closest to it was Revlon Colorstay Foundation which is about N7000 but recently, I went to repurchase the Revlon Colourstay foundation and it seems there's a new formula because I didn't get the matte effect I was used to. I bought Revlon Photo effects foundation but had to dash it to my sister because I couldn't stand the tiny glitters in it! 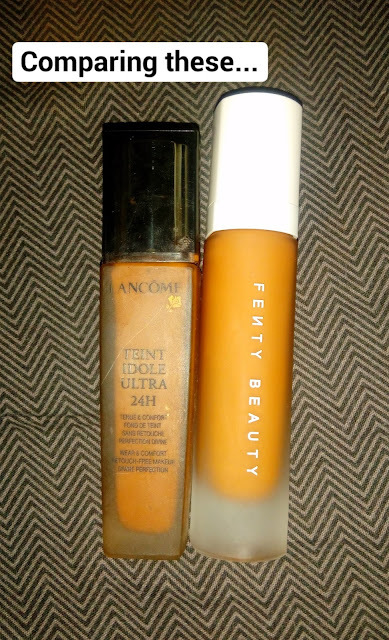 I've finally finished the last drop of the bottle....and replaced it with Fenty Beauty Pro Filtr Foundation in 420.